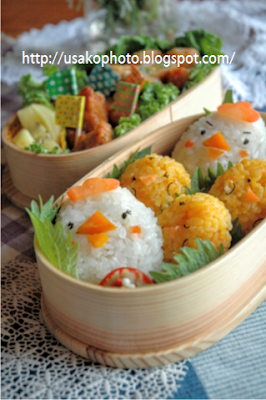 This is a lunch with the motif of the parent-child of chicken! I made with rice ball. Yellow is the color of pumpkin.